If you have been visiting the supermarket lately, you will be very aware that Easter is just around the corner. Unfortunately, for those of you watching your weight, this is a great test of your will power at one of the most challenging times of the year. Let’s face it: It is pretty difficult to make Easter a chocolate-free holiday, especially if you have children who have been visited by a very generous Bunny. However be aware, the calories in a chocolate egg add up very quickly! Did you know that by eating just one medium sized chocolate Easter egg (standard size 100g) you will be consuming 530 calories….which means you would have to walk for 1 hour and 20 minutes just to ‘burn off’ damage caused by that Easter Egg to your waistline. The best idea to keep yourself on track is to resist shop bought chocolate eggs and make your own Easter treats. That way, you are in control of the calories you are consuming. 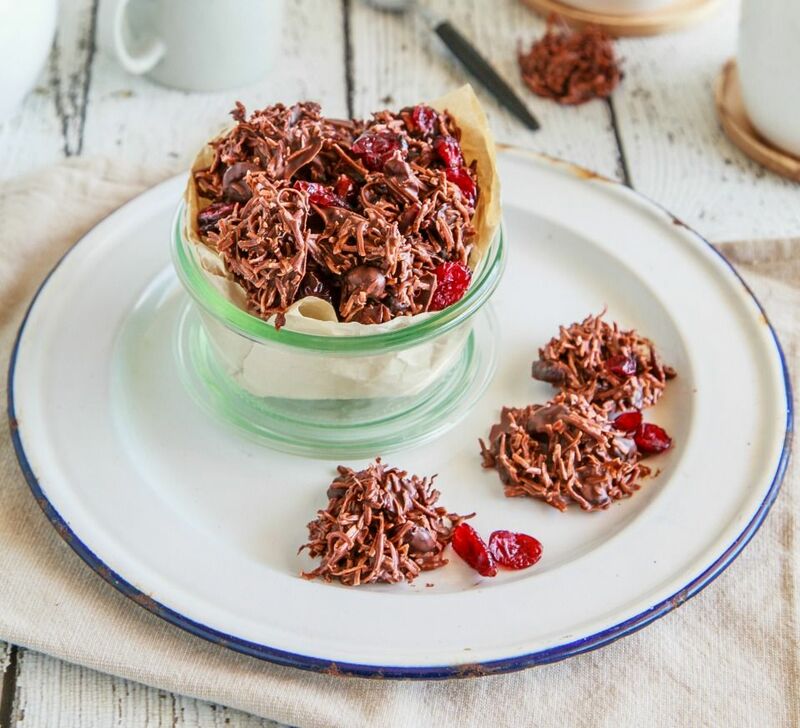 Our Dark Chocolate Coconut Roughs are just perfect – one of these treats will only set up back 40 calories and they will certainly satisfy your sweet tooth while giving you an ‘Easter’ chocolate fix at the same time. They are so easy to make as well – get the kids to help you out! Place dark chocolate and coconut oil into a microwave-safe bowl and heat on high for 2 minutes (check every 30 seconds to ensure chocolate doesn’t burn) or until chocolate has melted. Stir to combine. Add shredded coconut and cranberries and stir through. Line a tray with baking paper. Spoon teaspoon-sized mounds of mixture onto baking paper (about 16 small-sized roughs). Place tray into the fridge for 3 or more hours until set. Keep in fridge until ready to consume as they will melt at room temperature.